by Martin C. Michener, PhD. 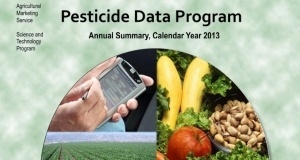 Are Annual Taxpayer Funded Reports on Pesticides Producing Useful Information? The results of government testing of our foods for pesticide residues may not be quite what we expected. Every year the Agricultural Marketing Service (AMS) targets certain food materials which they consider high risks, collects samples from warehouses and storage facilities, and tests them for a wide array of pesticides they deem likely to be present. 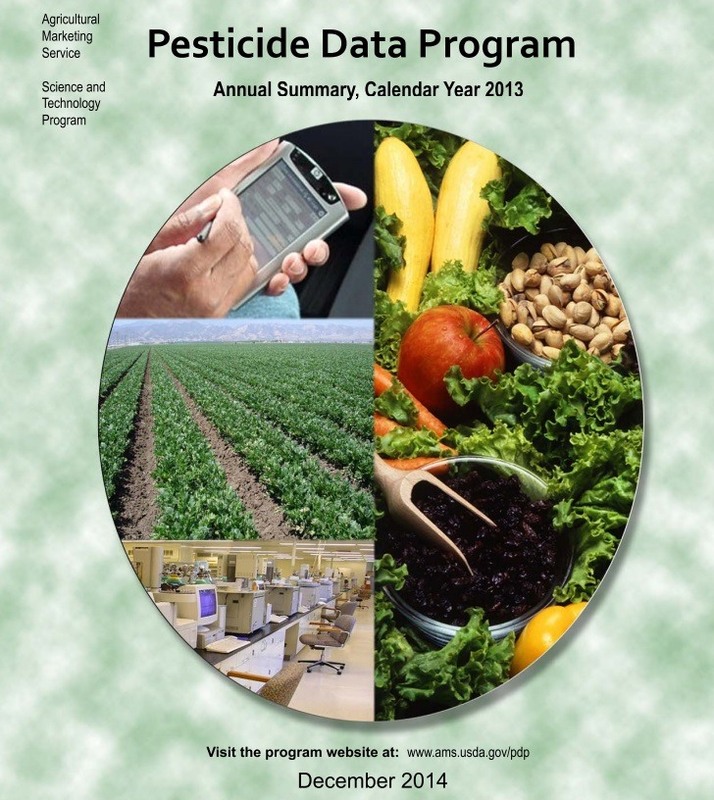 These Pesticide Data Program (PDP)  reports are one of many taxpayer funded activities designed to fulfill the agency’s congressional goals and mandates. “The PDP is not designed for enforcement of EPA pesticide residue tolerances. Rather, the U.S. Food and Drug Administration (FDA) is responsible for enforcing EPA tolerances. PDP provides FDA and EPA with monthly reports of pesticide residue testing and informs the FDA if residues detected exceed the EPA tolerance or have no EPA tolerance established. In instances where a PDP finding is extraordinary and may pose a safety risk, FDA and EPA are notified immediately. In such cases, USDA may also work with U.S. growers in an outreach effort to communicate possible pesticide regulatory decisions or improved agricultural practices.” – cover letter, the 2013 PDP Report1, published December 2014. The agency name alone might puzzle some thoughtful folks. We might expect titles like “Food Assurance”, or “Commodity Quality Testing” to help us confirm our complacent faith that highly sophisticated, systematic, government watchdog agencies not only protect us from invading foreign armies, but also from mold and bacterial attacks and, indirectly, from runaway corporate robber baron profiteers, who might be tempted to trade off their care in preparing our food in exchange for cheap petroleum-based chemicals, in a never-ending war on costs—I mean war on pests. And what are these pests, actually? Where we may imagine bugs and rats, the actuality is these chemicals, which almost all persist and do not break down biologically, fall into four categories: Herbicides, Fungicides, Insecticides and Metabolites (or breakdown intermediate chemicals). A few others are listed, especially Acaricides (kills mites) and Growth Regulators. These are therefore not-so-much pests to you and me, but to farmers and food product transporters and storage locations. Pests might be loosely defined as whatever spoils the harvest or especially the appearance of the food. What about chemicals which kill bacteria, the bacteriocides or antibiotics? In the PDP reports we find none. Asking organic farmers or agronomists about “bacteria” they often show a great resepct for soil health and how it depends on thousands of natural bacteria for the crop health. Are Toxic Chemicals Actually Regulated? The most familiar everyday antibiotics are manufactured starting with molds, like Penicillin and Streptomycin. These compounds are not part of agriculture, by Federal Rules, but rather are part of medicine, and so, are regulated by the FDA. 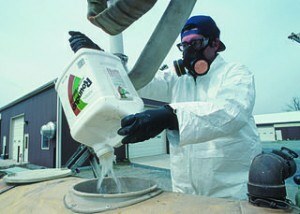 The EPA regulates pesticides; it is the PDP which SAMPLES them. We know the FDA has SWAT teams at the ready should some drug salesman be warehousing those antibiotics. 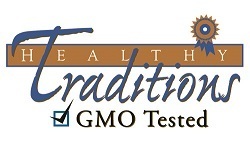 But the people who “market” agriculture for the FDA do the routine annual testing. And then a year later the untimely report actually comes out. Is this reminiscent, maybe, of bankers setting the rules for . . . bankers? Breaking down these complex, interacting federal public services logically may be quite difficult. In another world, it is certainly easier for drug-users to find sources than it is for any police or drug squads to do so. So, the argument for agricultural marketers for gathering the food samples every year is: they have no enforcement role, so food suppliers may be more generally relaxed and cooperative. After all, they are helping you market your food. Does anyone else see the potential for a conflict of interest here? What if they find bad stuff in a friendly distributor’s food, then report it a year later? Does this procedure serve the public?? The government agency tasked with auditing how well other government agencies performance matches their stated purposes is the General Accounting Office (GAO), which recently took an interest in auditing these AMS PDP pesticide reports. GAO compares goals (set by congressional laws) with the actual agency methods and protocols and then with how results are presented and distributed. In their report,  the GAO objected to the sampling protocol used by AMS: targeting risky foods. GAO said the public’s perception is that foods representative of what we really eat are being covered, annually. But the PDP reports do not explain this targeting, so the public may think the congressional goal of statistically sampled safe food is being served, whereas the statistics cannot provide this. The advice to AMS? Either tell people clearly you are not randomly picking your samples, or make your sampling process more transparent. 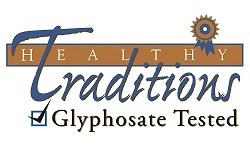 Glyphosate: World’s Most Common Pesticide NOT Tested! “Further, FDA does not disclose in its annual monitoring reports that it does not test for several commonly used pesticides with an Environmental Protection Agency (EPA) established tolerance (the maximum amount of a pesticide residue that is allowed to remain on or in a food)—including glyphosate, the most used agricultural pesticide. Although FDA is not required by law to select particular commodities for sampling or test for specific pesticides, disclosing this limitation would help meet Office of Management and Budget (OMB) best practices for conducting and reporting data collection and help users of the reports interpret the data. Several friends have told me (I have currently no better reference) that when questioned, AMS personnel complained glyphosate testing was too expensive. 2013 was also the year that the EPA raised the allowable limits of traces of glyphosate to remain in the public food supply. Did AMS bother testing for glyphosate in 2014 we wonder? 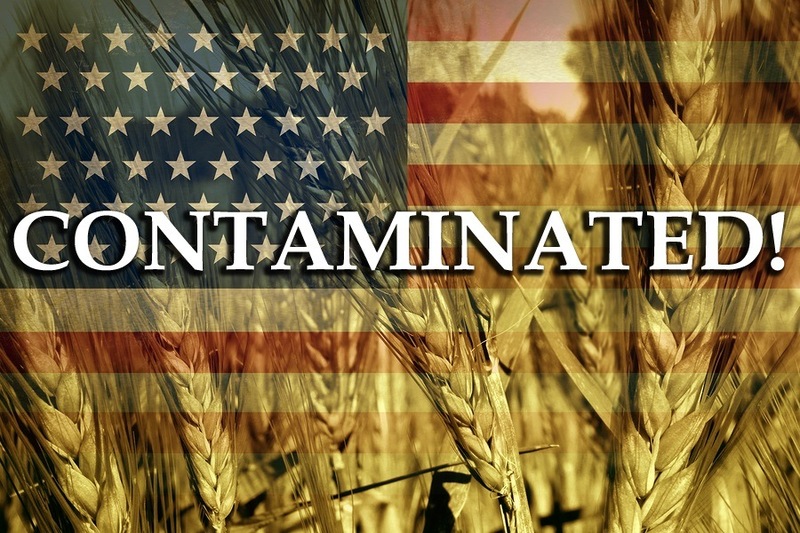 Even USDA certified organic wheat in the U.S. contains glyphosate residue . Paging through this year’s report , you will find no mention of glyphosate in the 203 pages, and, as pointed out to me by the our astute editor, Brian Shilhavy, this year NO WHEAT samples. In the previous year, 2012 report reported finding five pesticides in 300 samples of Triticum aestivalis (wheat), but this year they didn’t bother. Just when we have figured out the likely course for a complex major national epidemic : wheat, sprayed at harvest with Roundup, add aluminum chelated by glyphosate, produces gluten intolerance. But the AMS “failed to target” wheat production. No explanations. So, what about wheat in the 2012 sampling year? Again, no mention of glyphosate in the 183 page document. We find on page numbered 11 (actual PDF page 21) that the USDA grain inspectors collected 300 samples from numerous locations, based on states which were major producers. Sampling volumes were based on each state’s population. Azoxystrobin 6.7% possesses a novel biochemical mode of action. Its fungicidal activity results from the inhibition of mitochondrial respiration in fungi. Invented by taking natural fungal allelochemical and synthesizing 1400 cmpds using the active portion of the natural material. Boscalid 1.7% [Endura; Pristine] Fungicide. Deltamethrin, (includes parent Tralomethrin) 12.7% insecticide, pyrethrin group. Toxic to fish, almost non-toxic to humans. It is a systemic triazole fungicide proposed for control of Black Sigatoka disease (Mycosphaerella fijiensis) on bananas grown outside the United States (U.S.). Metconazole acts primarily as an inhibitor of ergosterol biosynthesis, and interferes with synthesis of fungal cell membranes. The formulation proposed for use on bananas is Metconazole 90 SL (Caramba™ Fungicide), a soluble liquid concentrate formulation containing 9% active ingredient (a.i.). There are currently no registered uses of metconazole in the United States. Prior to reading this report, I was not aware of any significance in my world of ecology and health for any of these, or for the other 45 chemicals tested . So, I wonder again, with all the glyphosate studies showing microbiome impacts and chelation of toxic minerals (aluminum), why no sampling of glyphosate? Is cost really so prohibitive with our federal budget, while we see escalating chronic health problems? Or, are the chemical companies behind the most popular herbicide in the world putting pressure on the federal government not to do anything that would put a dent in the sale of their products? Stay tuned, as we are not finished covering this topic.